“Choe” in local language in Punjab means a stream or a rivulet. 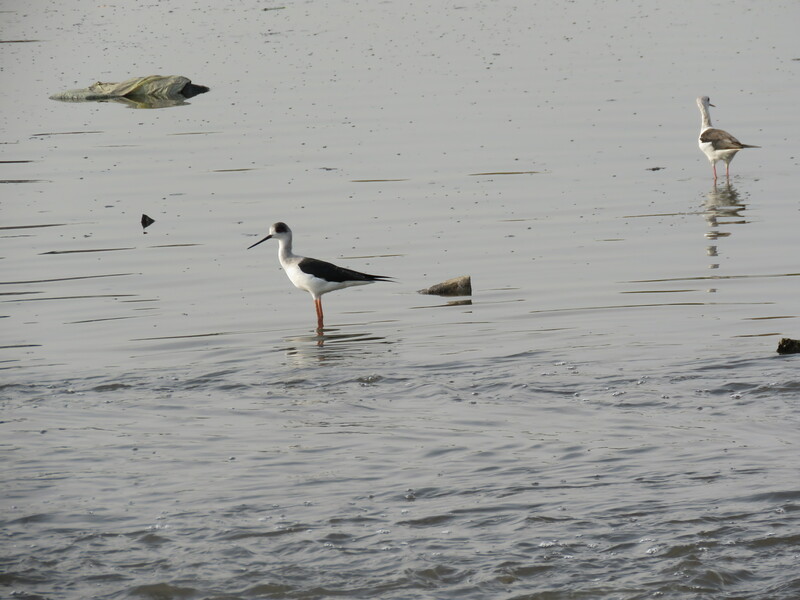 Sukhna choe is the name of stream after which the lake in Chandigarh is called. The choe passes through area of union territory Chandigarh, Haryana and Punjab before merging with Ghaggar river. Many unauthorized settlements have mushroomed along it particularly in Union territory of Chandigarh. Some industries have also come near it. There was a time about 50 years ago when the clean water flowed from the dam but these days if you pass by the gates of Lake hardly any water flows there. At that time I was about 10 years old. Our elder sister was married in a village called Gazipur which is in Punjab and this choe passes near this village. We used to visit our sister many a times and water in this stream was so clean that we used to swim and bath in it. Then after doing my M.Sc., I got the job and left this place. After 35 years, I have returned. I went to see the choe and was aghast to see its plight. A workable bridge with big pipes have been constructed over the narrowed span over it. Building activity has reached all around. In the older times, there was no pass over this choe. Hardly anyone came here with vehicles. Farmers who have their land on the other side of stream used to cross it with bullock carts or on foot. The black frothy water flows under the bridge through pipes. It is giving nauseating smell. Industries and effluent from households is discharged into it. 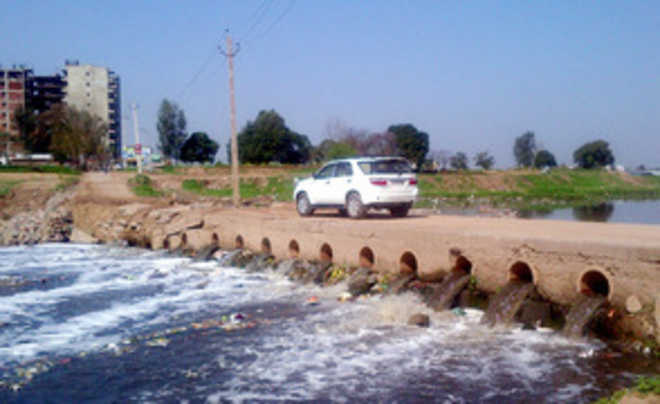 Although union territory administration has installed effluent treatment plant to treat the effluent generated in the area of there jurisdiction, it is said that Haryana is discharging the Untreated effluent into it. There seems to be no coordination between the three agencies and also it seems corrupt people in the environment supervision agencies have turned the blind eye towards its plight. Still, I found a big flock of one bird species in the stream. 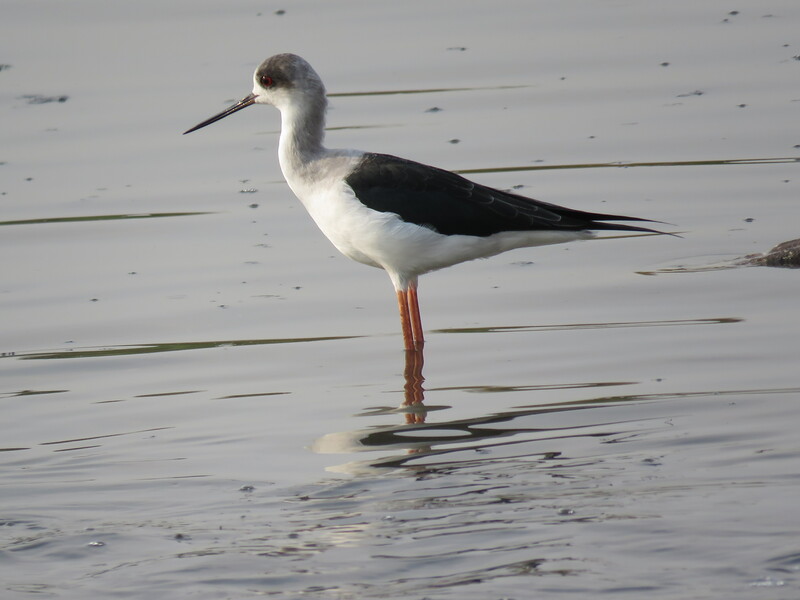 This bird is called Black Winged Stilt. I think they don’t have anywhere else to go or have adopted themselves to the changed circumstances. But they seem to avoiding the frothy area down the bridge. They were largely seen in the area near a place where another stream of relatively cleaner water was confluencing with this stream. 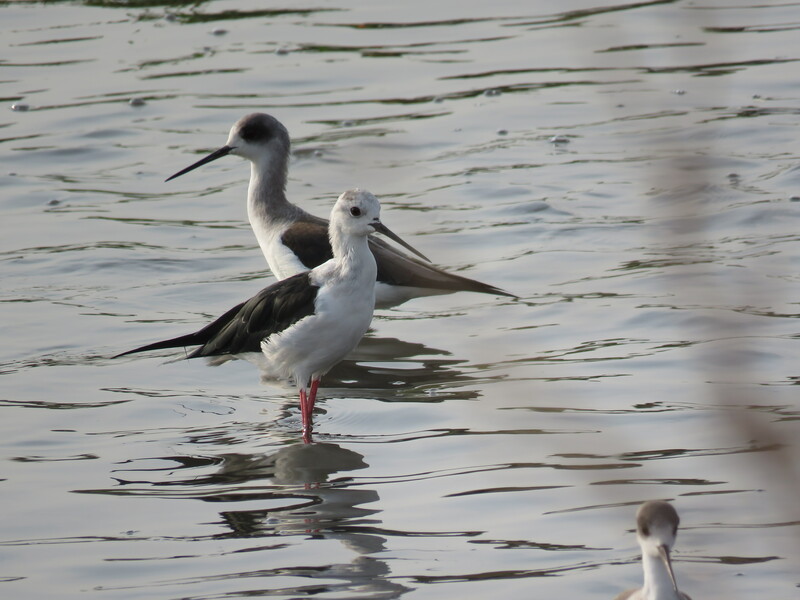 These birds have very long legs and 60% of their body weight is in the legs. 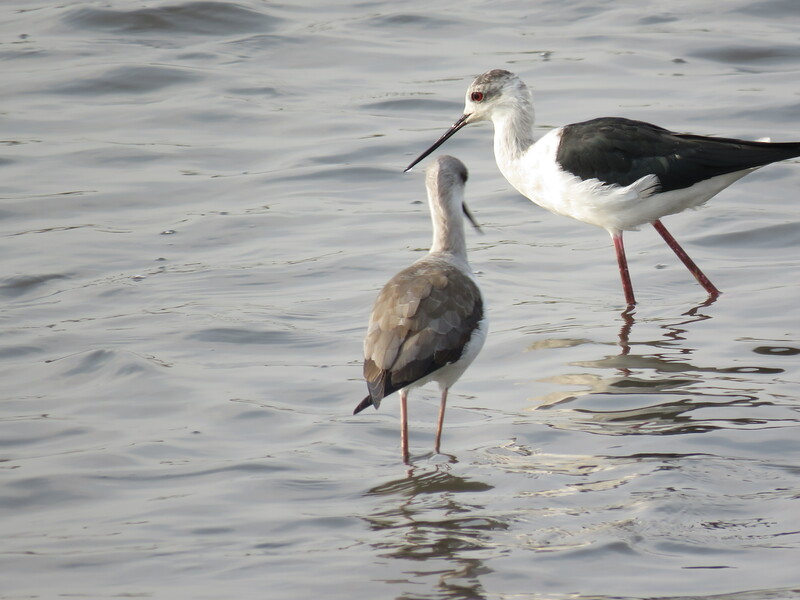 The longer legs have advantage in that they can catch their food in deeper waters. 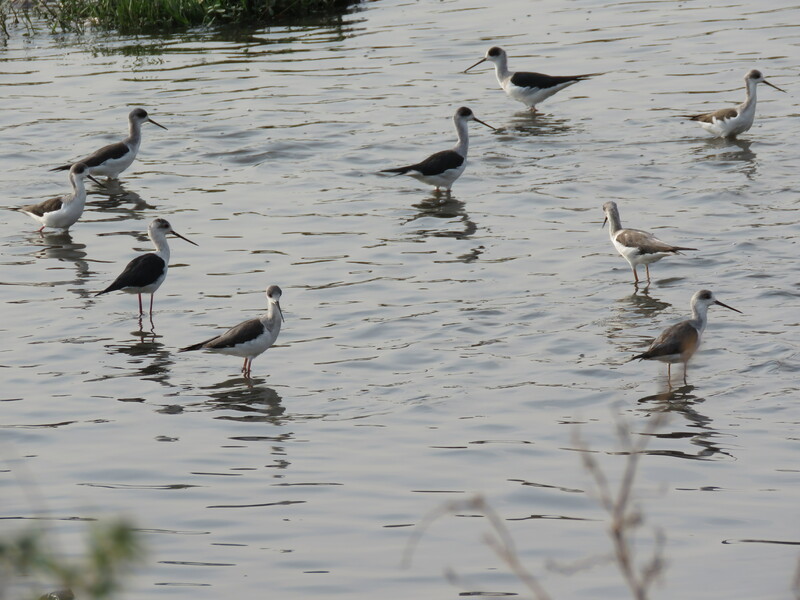 They usually live in the groups and catch the insects and other aquatic animals.